Net neutrality is under severe threat from the FCC. If you want to talk to FCC, this is what you should talk about according to one former FCC employee. Ajit Pai is a man in demand at the moment. In other words, a lot of people want to talk to him. Some other “a lot of people” want to argue with him about his plans for laws that protect net neutrality. Now, a former official of the Federal Communications Commission has come forward to let readers know what’s the best way to get your point across to Ajit Pai. Ajit Pai appeared before the American Enterprise Institute in Washington DC on May 5, 2017. There he saw plenty of protesters. What did the protestors want? They wanted net neutrality laws protected. As most of us know, if everything goes to Ajith’s plan, the Federal Communications Commission will eliminate all net neutrality laws. Of course, a lot of people want to stop him from doing that. And to be fair, there is still hope. 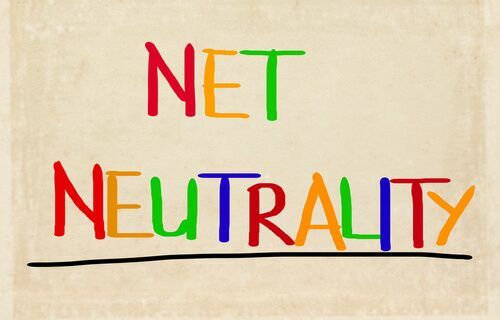 People can still voice out their strong objection to anti-net neutrality rules. But to help out the people in making their voices heard in an effective way, a former Federal Communications Commission official has come forward. She also has some advice, if that wasn’t clear enough already. Gigi Sohn (the former Federal Communications Commission official) used to work as a top counselor for the former Federal Communications Commission Chairman Tom Wheeler. This is the time when the Federal Communications Commission actually cared about the end-users. Because Tom Wheeler’s Federal Communications Commission reclassified internet service providers across the country as common carriers. Wheeler’s Federal Communications Commission also imposed strict net neutrality rules. “Four Steps To Writing An Impactful Net Neutrality Comment”. Gigi has a lot of suggestions for users as far as net neutrality comments are concerned. 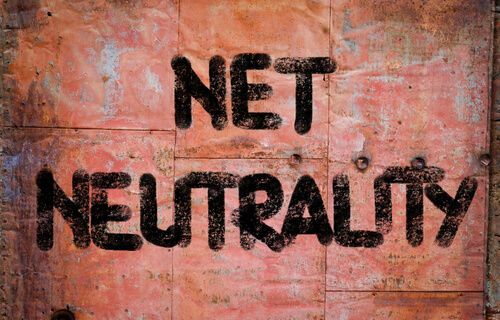 Readers of this website already know that we urge everyone who is able to write to the Federal Communications Commission and submit their complaint about what the commission plans to do to net neutrality rules. First things first, you shouldn’t expect your comment to the FCC to change anything. In fact, when everything’s said and done, it is highly likely that Ajith’s Federal Communications Commission will get what it wants. And it wants the end of net neutrality rules which have thwarted Internet service providers and broadband infrastructure development. But that doesn’t mean pro-net neutrality players should just give up. The fact is, even if Trump’s Federal Communications Commission repeals all net neutrality laws, there is still room for more conversation. Citizens can make meaningful comments and really help out net neutrality advocates in future arguments in various court cases. Net neutrality advocates are likely to fight the Federal Communications Commission on net neutrality rules even if they are eliminated. After net neutrality rules are on, the net neutrality advocates can fight authorities in the court in order to reinstate them. This is what Gigi Sohn believes and wrote. Gigi Sohn didn’t always work for the Federal Communications Commission. Before Federal Communications Commission, Gigi Sohn was the co-founder and president of Public Knowledge, an advocacy group. Public Knowledge is still going strong though. 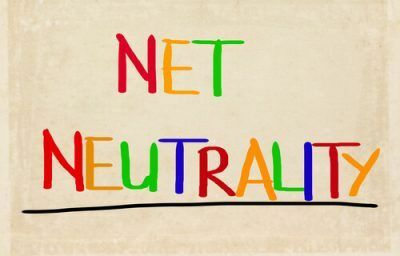 It is going strong in the sense that it is still pretty active when it comes to playing a role in supporting net neutrality rules. But Public Knowledge doesn’t just restrict itself to net neutrality rules. It also fights for the end-user in numerous other consumer protection rules and regulations. Gigi Sohn resigned from her position in the Federal Communications Commission after the people of the United States of America elected Donald Trump as their president. So how does she want you to write about your concerns regarding the Federal Communications Commission and its plans to eliminate net neutrality rules? And perhaps this is the best way to go forward. Sohn is of the opinion that people should write about themselves and how the current net neutrality laws/rules affect them in their daily activities. Sohn wrote in the Mashable article that people such as entrepreneurs who sell craft chocolates and coffee should write to the FCC about they would never be able to compete with giant likes Godiva and Starbucks if the FCC allowed them to pay Internet service providers for faster carriage. She then continued and wrote that perhaps someone sells craft on Etsy. Now we know that people selling things on Etsy cannot catch the public’s eye even on their best day if internet service providers offer favorable conditions to the likes of eBay and Amazon for one reason or another. Another scenario that comes to the mind, she wrote, is that of a local alarm company owner. A local alarm company owner could never hope to survive if giants like Comcast and AT&T are allowed to favor their own modern alarm systems over the local alarm company owner’s. But all of that does not mean that if you don’t own a business or don’t sell anything online, net neutrality rules don’t affect you. Gigi’s advice is applicable even to those people who don’t own businesses or don’t operate an online one. Without net neutrality, local companies can’t compete with giant ones in the online world. According to Gigi, if Facebook or other online communications services like Skype have helped you to connect with your long lost friends or family then net neutrality rules affect you. 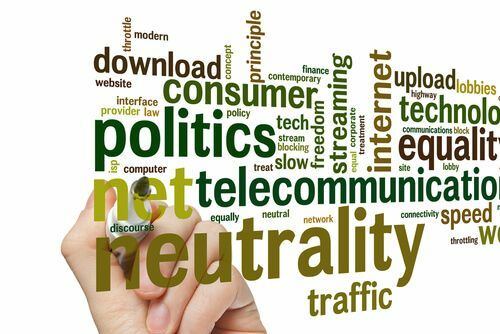 If the online world helped you to complete a high school, college or even a graduate degree then net neutrality rules affect you. And of course, you should write to the Federal Communications Commission about how net neutrality rules play a significant role in your life. The internet has improved our lives in a million other ways. You can write to the Federal Communications Commission about any of those ways if you feel they are significant to you and your life. No one really knows which areas will net neutrality rules or lack, therefore, would affect. If you think that lack of net neutrality rules will affect the benefits you have received from the internet then you should write to the Federal Communications Commission. There is no doubt about the fact that some of the benefits that the internet provides us will definitely be lost once the Federal Communications Commission allows internet service providers to pick winners and losers in the online world. If you think this affects you, then according to Gigi, you should tell the Federal Communications Commission exactly that. What Do You Mean By Broadband? The other aspect Gigi lays particular importance on is the understanding of the term broadband internet connection and the packages that come with it. She wants commenters to know and then write about what they understand and don’t understand when they buying or purchasing broadband internet access through one of these telecommunications giants or otherwise. Because the Federal Communications Commission is trying to do something clever. Know that everything depends on how the Federal Communications Commission classifies these internet service providers. The survival of net neutrality rules depends on whether the Federal Communications Commission reclassifies broadband as an information service or not. Right now, they are classified as a telecommunications services. If Ajit Pai and the Federal Communications Commission have their way then the Federal Communications Commission will reverse its 2015 decision. That decision was about the Federal Communications Commission determining broadband internet service providers as telecommunication services. Telecommunication services are subject to more oversight under Title II. According to Gigi, right now, telecommunication services must show what internet service providers are offering. They must also show that the end-user understand what they are purchasing. These broadband internet service providers can’t just put everyone on a fast ramp to the internet. They have to show that they are offering a bundle of other information services. What are information services exactly? She continued and said in her piece that people need to tell the Federal Communications Commission why they purchase internet access. from companies and services that don’t belong to your internet service provider. Users have plenty of options about what they want to and can ask the FCC, says Gigi. Gigi has also told readers to tell the Federal Communications Commission if they have ever received a solicitation offers from their internet service provider. She wants the readers to attach that solicitation email or scan that solicitation offer and then send it along with the comment to the Federal Communications Commission. Readers can either summarize what their internet service providers solicited or quote whatever they said via their communication. The current Chairman of the Federal Communications Commission, Ajit Pai, has come forward with a proposal that argues that internet service providers’ core broadband services themselves are also information services. And that holds true even if internet service providers don’t provide any other extra services such as cloud storage and an email service. As have many other media reports have pointed out before, Ajit Pai has a lot of ideas regarding net neutrality laws and how to change them. He has argued in the past that broadband services did not meet the exact statutory definition of the term telecommunications. In other words, consumers don’t specify much. They don’t choose the IP addresses they connect to when they go to specific websites. And they also have no hand in the caching service they are connected to when they go online. The law says that telecommunications a lot of things. One is, that it means the transmission of information (between and/or user defined points) of the end user’s choosing. Also, the laws say there should be no change in the content or form of the information that is sent and then received. Of course, here are users who believe that selection of websites and other online services that user visits can be considered telecommunications under the current definition. To that, we’ll say that it is a topic for another day’s discussion. If you would like to let us know something about it then use the comments section below. Or you can always write to the Federal Communications Commission as Gigi recommends. Sohn has a lot of predictions when it comes to what Trump’s Federal Communications Commission is going to do next. She writes that it is not inconceivable that the Federal Communications Commission will also argue about why net neutrality rules aren’t really necessary. So why are they not necessary? According to Sohn, the FCC believes that if a user’s internet service provider is discriminating against him/her, the user is free to choose another internet service provider at all times. If we’re talking about the data that the Federal Communications Commission has then that’s not true. 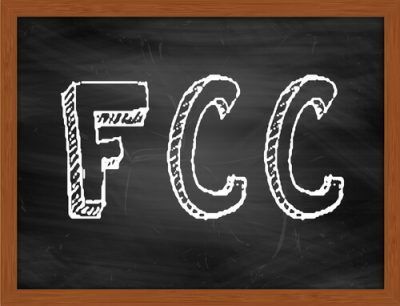 FCC’s data clearly demonstrates that what the commission is saying is not true. Or at least, it is not true in most occasions. Especially when it comes to high-speed broadband home internet services. There are plenty of personal examples which can assist in illustrating this particular problem. Readers are free to address all these questions or maybe even some of them. Gigi says readers should ask the FCC about what choices do they have if their internet speed is 25Mbps and the same if their internet speed is 3Mbps. As you might already know, the FCC defines the term broadband internet connection for internet speeds above 3 Mbps and not below it. Sohn also wrote that readers should think about whether internet service providers offer them real choices. Or whether they are all offering the same service for the same charges. Do users have to buy new equipment to have a new internet service provider? And do users have to to take a day or two off from their work in order to attend to the installation process?